During 2013 and 2015 respectively, these two trailers were shown between TV shows and preroll for YouTube videos constantly. You could’ve probably seen or heard the ads four or five times an hour at its peak just before the games launched. Not like it’s uncommon for big blockbuster games, movies and TV shows to put up a lot of advertising to promote a highly anticipated piece of media, but there’s definitely a reason why they do. Because advertising works. Advertising works because it preys on our inability to remember all things at all times so we cheat it by remembering more recent things more strongly and that we gravitate towards things that we’re familiar with. The term is Availability Heuristic. In general Availability Heuristic is a mental shortcut where we can better recall more immediate examples than other older ones and it leads to a mental bias called Recency Bias where we assume things that are easier to recall happen more frequently. We judge things more with recent information vs overall information and we expect easier to recall events as more frequently occurring. This is also why televised world disasters, epidemics, shootings and terror attacks get us to worry more often than things like car crashes or standard public health crises even though they happen more frequently, because they are news events which get us to remember all of the times that similar events recently happened reinforcing the idea that they are happening more frequently. Televised terror is advertised terror and advertised terror preys on our bias towards short-term-memory. Effects of the news on us aside, advertising still has the effect that the more we view something the more likely we are to remember it when we come up with examples for things similar to it. You see those ads, it does a first order job of trying to get you interested in the game, but also a second order job of getting you to remember their game more readily when talking about it with friends or thinking of a new game to play because you’re bored of your currently library. Take a minute to let that sink in. Attention affects preference more than preference affect attention. That means that the more times that NFL 2k17 ad gets plastered between commercials, the Grand Theft Auto 5 trailer starts as a pre-roll on YouTube or the new Call of Duty banner shows up on Kotaku or Destructoid, the more it implicitly affects our preference towards the game more so than us actually having a preference for or against it. Probably another good reason for Adblockers. Too bad you have to pay extra for no ads on Hulu, but for $4 a month it might just be worth it. But the effects of advertising has been studied in depth for years, at least the byproduct of advertising not necessarily the social or psychological reasonings for it. What’s equally interesting and relevant but less talked about is about how products are presented to us and how that affects our preferences in deciding what to try out next. Seeing a product in an ad is one thing, but how does seeing a group of things together influence what we’ll pick? One problem is that we don’t see things empirically, evident by the last section where we talked about how more recent ads influence our choices and preferences, but even with many things to choose from in front of us we have a shortsightedness in our choice. What I mean by this is that the many choices that we make are based on what choices are actually presented and not always based on all of the possible choices that we could’ve made. Imagine being given a choice of wages to rate, something like $15, $17, $19, $21, $23, $25, $27, and $29 per hour. We ask you to rate them by how attractive you find these wages. 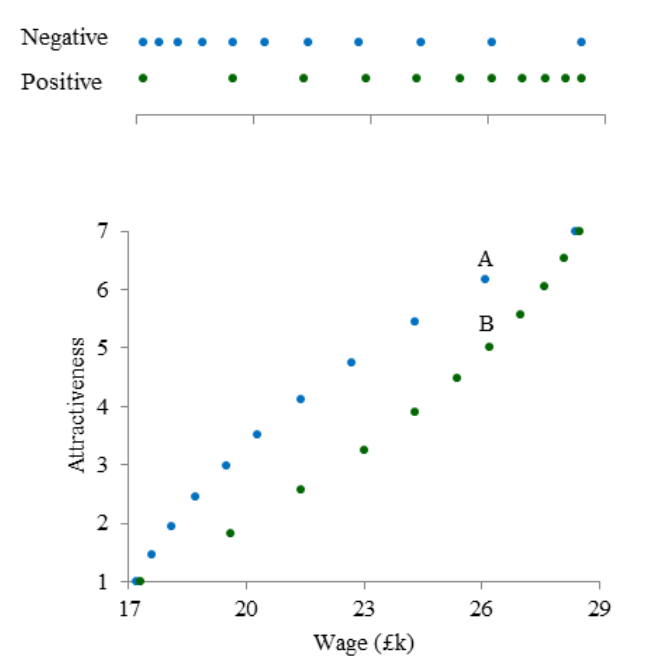 Obviously you’d view higher wages as more attractive than lower ones. Lucky for us, this scenario was tested back in the mid 2000s. There was further study showing that this extended to more complex options, as well. We typically go on websites that let us know things like quality of the product, the price and who developed/published the product all of which we use before making a choice. In a different study they tested people’s choice of auto-insurance with metrics of provider, price and quality of service shown and asked which participants would choose. 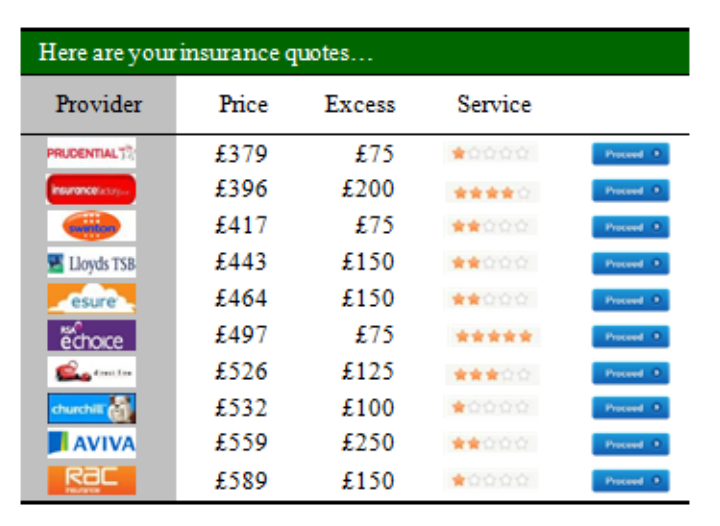 They tested people’s choice by mixing up the table in varying ways, having results sorted by quality, by price, by varying the providers for each position, etc… What they found was that it wasn’t price or quality that influenced people the most but the rank of an insurance quote among the other quotes that produced the most clicks. Think about that for a moment. You gravitate towards an option not by how much it costs nor the quality of the option but by how high on the list it shows. So as you’re browsing through the Action-games list on Stream, released games on PSN, Amazon or any other marketplace, you’re more likely to click and buy a game that’s higher in the list. Is this because we’re so accustomed to better things being presented first? Do we anchor our preferences based on the first things that we see? Probably one thing we do know from the studies that I talked about today is that our choices are heavily influenced by the how those choices are presented and the context to which we make those choices. But the marketplaces like Steam, PSN, and the like aren’t completely predatory to the point of taking total advantage of us as the more often we’re let down by our selections the less likely we’d be to return. For most of the time, they at least employ some basic algorithm to populate games higher in the rankings based on a mix of release-date, purchase frequency, and user rating and weighing each of these more heavily based on what you might be interested in. So what’s the takeaway from all of this. That even though game marketplaces have a desire to give gamers a high quality sorting of the games presented or else gamers have less trust in their browsing system leading to a worse experience. That our choices as game consumers are still affected by the fact that they rank them a certain way. Games near the top, in the featured section are in essence being advertised to us similar to commercials on TV, YouTube and website banners; and that advertising affects our views on that game preferring it more so than our original preferences would dictate if the ad weren’t there to begin with. It’s not like we have a choice because in order to have a good browsing experience to happen upon new games or see what’s being released, we have to view them in some sort of order. The only other alternative is to always have a clear intention of what you’re looking for, but then lose out on the discovery of a new product. Even looking at a curated list means that you’re looking at games in some order, just with the subset of games the curator has sifted through but still a preference affecting order. Don’t view it as the market place and all of these options as bad, just view it as a necessary evil. As long as it does a good enough job to give you a good game more often than not, it’s an evil I can live with… except for the ads. The insurance study was especially surprising. I went immediately to the one with the most stars (especially with most of them having a low number). Anyway, this is why I try to search with filters when I can. 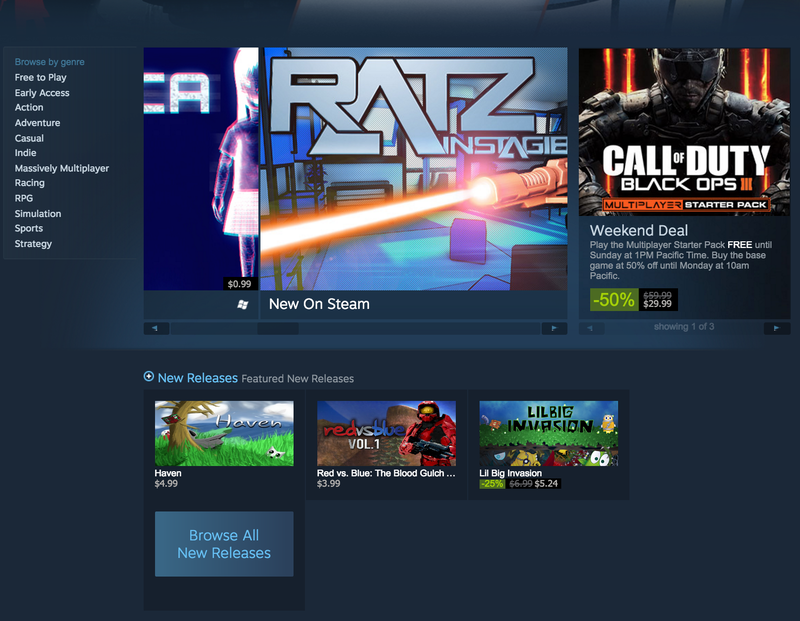 Steam isn’t great yet, but when they added tags it made a huge difference in how I looked for games. I can’t say that it makes me any less immune to repetition brainwashing though. I finally picked up the Mass Effect trilogy, mainly because I was tired of seeing it for single player RPG recommendations and not being able to ignore it. On that note, it would be interesting to compare the differences between advertising and recommendations from internet strangers. I generally do look at the ratings first, but in general I think the problem is that the first item will always act as an anchor (see Anchoring effect). In this case, you gauge all later results based relative to the first one, so you’d overemphasiz the good parts of the first ranked entry and underemphasizing the bad when comparing to lower ranked items.